One look out my window, and there was no mistaking where I was. The early morning sun was playing hide and seek with the clouds and buildings. I lay there watching the light show thinking, I MUST GET UP. The sun was shining and I was in San Francisco, one of the most beautiful cities in the world - but I did not want to get out of my bed. You may be thinking I had a wee bit too much wine the night before, or perhaps there was another, more seductive reason to linger. But no, it was the bed itself that wooed me. I liked everything about my stay at the Hotel Nikko San Francisco, especially the bed. Everyone says your own bed is always the best bed, but I'd have to disagree. My (notice the possessive pronoun) bed at the Nikko may be the most comfortable bed I've ever slept in. The hotel describes them as Subarashhi Yume (Japanese for dreams) pillow-top beds. There were ample pillows (including a body pillow), several layers of a gazillion thread count sheets, and blankets...Sweet dreams guaranteed. In a city where space is at a premium, my room was very spacious. The colors and furniture were light, modern, and comfortable. The south-east facing window allowed a partial view of the Bay Bridge, as well as some of the anchor stores on Union Square. At night, the lights of the city were so pretty I didn't want to close the curtains, but knew that I must, or be awakened far too early. That view was almost as seductive as the bed. Other in room amenities included a writing desk with a chair comfortable enough to actually get some work done. Free wifi. A large flat-screen television. An iPhone/iPad dock. I also appreciated the conveniently placed reading lights with dimmer switches. The bathroom was huge, and featured a separate shower and tub with shower attachment. Guest robes and slippers were provided, along with a nice selection of grooming products and toiletries. I also noticed that there was ample light in the bathroom; believe it or not, many high-end hotels drop the ball when it comes to bathroom vanity lighting. Great room, partial Bay view, amazing bed, well equipped bathroom, good shower, those are a few of the qualities people look for in a luxury hotel. But wait…what about customer service and location? 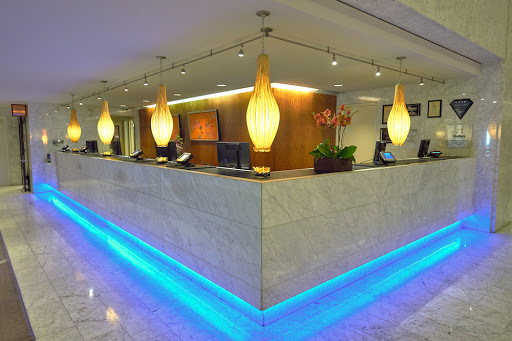 The Hotel Nikko San Francisco has a tradition of exceptional customer service in the heart of the city. 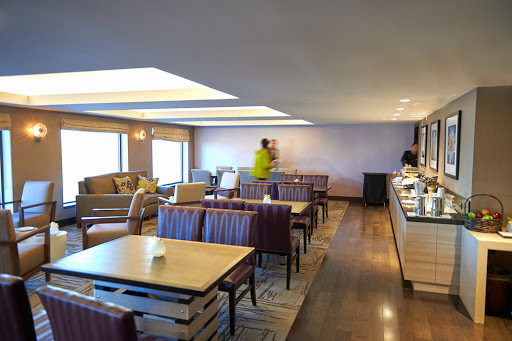 Rated 4 Stars by Forbes, 4 Diamonds by AAA, and in 2015 voted "Best Hotel in the City" by the San Francisco Examiner, the Nikko has 532 guest rooms - but you feel as though you are in a much smaller luxury boutique hotel. Every staff member is accommodating and takes pride in catering to your specific needs. The moment I arrived, I was greeted with these words, “Welcome to the Hotel Nikko, you're going to enjoy staying here.” Could there have been a better beginning? Only 7 miles across, for a total area of 49 square miles, San Francisco is a city that is best explored on foot, at least the first time around. Beware, however - it's also a city of hills, with grades so steep that cars park at 90 degree angles. I’ve found the best way to enjoy any city is to stay as close as possible to all that I want to see and do - it just makes for a more enjoyable experience. 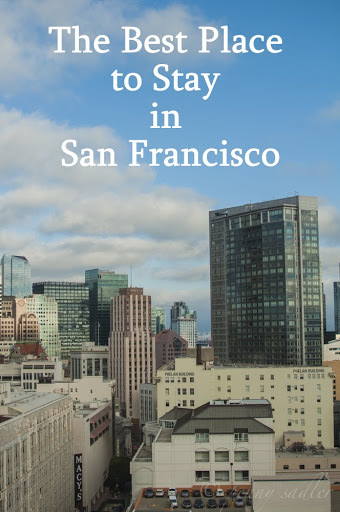 Hotel Nikko is an easy walk to the shops of Union Square, and only five minutes from the financial district and most other popular tourist destinations: Chinatown, North Beach, the Embarcadero, The Ferry Building, and Nob Hill. Music, theater, shopping, and fine dining are all within easy reach … or you could stay at the Hotel Nikko and never leave the building. Heck, with 24-hour room service at your fingertips, you could never leave your room. 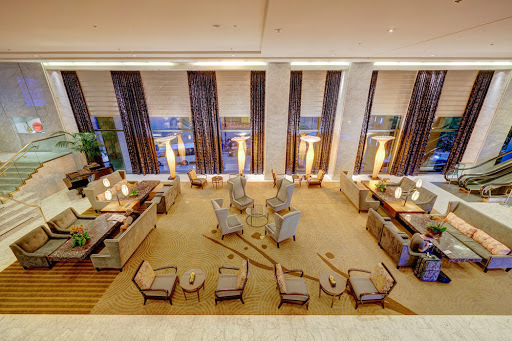 But that would be a shame, because there are some nice places to lounge and dine at the Nikko. The Imperial Lounge is a great place to enjoy the view from the 23rd floor while savoring your morning coffee and a continental breakfast. Orchids fill the vases on the tables and on the walls, a simple and elegant way to start your day. If you fancy something more for breakfast, Anzu is a unique international experience. The buffet-style breakfast includes traditional American dishes like eggs, bacon, and oatmeal; European style with cheeses, meats, breads, and fruits; and Japanese style: fish, steamed rice, and miso soup. I decided the only right thing to do was try the Japanese breakfast and was glad I did. It was the perfect antidote to a chilly San Francisco morning. Anzu is also open for dinner. No surprise, the menu is Asian-inspired California cuisine; you can order anything from Misoyaki Black Cod to Pan Seared Veal. 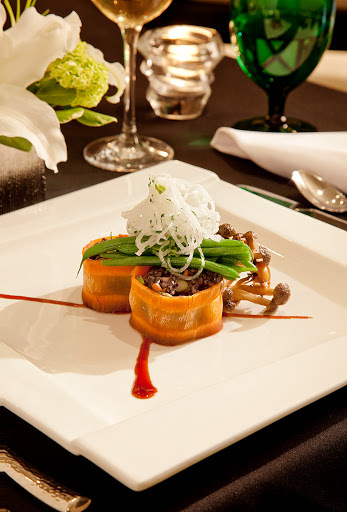 Executive Chef Philippe Striffeler more than succeeds in pleasing both his Asian and his local clients. Reservations are recommended. For the active traveler who wants to stay fit, there's a full service gym open 24/7. 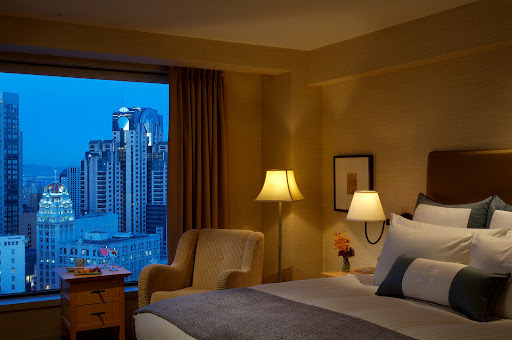 It’s complimentary to guests staying on the Imperial Floor and $15.00 per stay for other hotel guests. This also gives you access to the sauna, steam room, and locker rooms for both men and women. There’s a beautiful indoor swimming pool, which was closed when I visited, but reopens at the end of January 2016. 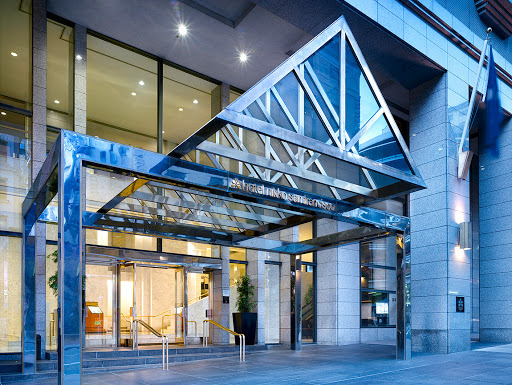 Feinstein's at The Nikko is the namesake venue of entertainer Michael Feinstein, a five-time Grammy winner who has performed at the White House, Buckingham Palace, and the Sydney Opera House. The nightclub is popular with locals as well as guests. Sadly, it was dark when I was visiting. I guess I’ll just have to head back. The Hotel Nikko is slated for a 70 million dollar remodel of the guest rooms and all public spaces. It closes in December of 2016 for three months. Get your fix now and enjoy a great value at a luxury hotel in one of the world’s most beautiful cities. It may reopen as a five star. Much like the City By The Bay, the Hotel Nikko left me with a warm feeling and a desire to return. I left my heart at the Hotel Nikko San Francisco.